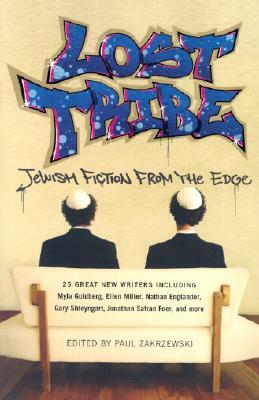 Funny, raw, dark, sometimes outrageous, the twenty-five contributors to Lost Tribe explore themes such as conflicted identities, sexual fetishes, religious intolerance, and even the troubled legacy of the Holocaust to create a stirring picture of contemporary Jewish life. Lost Tribe features stories and commentary from a brilliant mixture of critically acclaimed and emerging writers. Paul Zakrzewski (pronounced Zak-shef-ski) is awriter, editor, and literary event curator. As director of literary programs for the Jewish Community Center in Manhattan, he runs a popular reading series featuring new and provocative Jewish writers at the KGB Bar in the East Village. He is also an editor at Heeb magazine, a Jewish pop culture collective, which was nominated for BestNew Title in the 2002 Utne Reader Alternative Press Awards. He lives in Brooklyn, New York, and can be reached at www.lost-tribe-fiction.com. I highly recommend this collection of fiction...(Lost Tribe) reflects the lives and struggles of all Americans today.